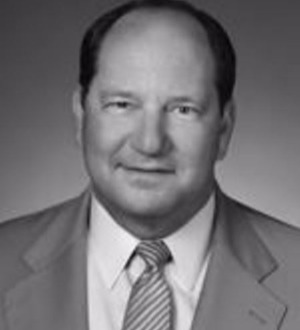 Ron Kent heads the Litigation department in Dentons' Los Angeles office. He has served as co-chair of the Firm's National Insurance Litigation and Coverage practice and currently is a member of the Firmwide Policy and Planning (Management) Committee. He has practiced out of the Los Angeles office since it opened in January 1990. Ron has extensive experience representing major financial institutions, insurance companies and other clients on a wide variety of matters, including fraud and bad faith actions, class-action and multiple plaintiff litigation, defense of toxic tort and other environmental claims, insurance coverage actions and general business disputes. Ron has tried matters in state and federal courts throughout California and in other states, and has successfully handled many arbitrations to final decision. In addition, he has briefed and argued numerous appellate matters in the California Supreme Court, nearly all California district courts of appeal and the Ninth Circuit Court of Appeals. In November 2011, Ron was asked by Travelers Casualty and Surety Company to associate into, and be lead trial counsel in Cannon Electric, Inc., et al. v. Affiliated FM Insurance Company, et al. This Los Angeles County Superior Court case began trial in September 2012, with live witness testimony concluding in mid-2013. The case spotlighted a number of cutting-edge insurance coverage questions for more than US$50 million in excess liability insurance coverage and hundred of millions of US dollars in asbestos bodily injury liabilities claimed by Goulds Pumps, Inc., and its parent company, ITT Corporation. Also, the case is related to a putative class action filed by Goulds Pumps and ITT in federal district court in Hartford, CT (ITT Corporation, et al. v. Travelers Casualty and Surety Company). Since December 7, 2009, Ron has been engaged in Oakland, CA, as lead trial counsel in In the Matter of PacifiCare Life and Health Insurance Company. In this administrative enforcement proceeding, the California Department of Insurance (CDI) alleges that client PacifiCare committed nearly 500,000 separate violations of California insurance law and regulations involving all manner of corporate, claims handling and other processes. CDI seeks penalties of up to US$1 billion. In addition to receiving nationwide attention from stock analysts, regulators and health care industry observers, it is one of the largest, longest-lived cases in California. The proceeding puts at issue a number of cutting-edge constitutional, selective government enforcement and core statutory interpretation issues. Trial counsel for Travelers Ins. Co./St. Paul Fire & Marine in a lawsuit involving 17 years of "lost" general liability policies and asbestos bodily injury coverage. Jury trial in Los Angeles County Superior Court resulted in 12–0 jury verdict for Travelers/St. Paul. Appellate counsel for petitioner before the California Supreme Court in Van Horn v. Watson (Torti). This case puts at issue the interpretation of California's Good Samaritan statute, Health and Safety Code Section 1799.102. Coordinating counsel for Allstate Insurance Company for claims and regulatory issues related to the 2007 Lake Tahoe and California wildfire and the 2008 California wildfire, as well as the 1994 Northridge earthquake. ACE USA (INA, Cigna, ACE American Ins. Co., ACE Prop. & Cas. Ins. Co., Aetna Ins. Co., etc.) national coordinating counsel for childhood sexual abuse insurance coverage, claims handling and claims litigation. In excess of 1,200 claims and lawsuits. Trial counsel in General Motors Corp. v. Royal Insurance Co., a lawsuit filed in Oakland County, MI, concerning insurance coverage for GM's historic asbestos and environmental liabilities. In addition to Travelers, Allstate, First American, UnitedHealthcare and the other carriers listed above, Ron routinely represents Genworth Financial.